Police have today charged two people with murder following the death of a man in Cramlington on Christmas Eve. Owen Kerry, 19, who lived in the town, was stabbed inside Cramlington Workmen's Club on Front Street at 10.27pm on Saturday. He was treated by paramedics at the scene and was taken to the Royal Victoria Infirmary but died at hospital as result of his injuries. Lyndsey Harper, 36, of Queens Gardens, Annitsford, and Brian Cahill, 35, of Northern Terrace, Dudley, have been remanded in custody and will appear before magistrates sitting at Newcastle Crown Court tomorrow. Owen's family today released a statement paying tribute to the teenager. They said: "Owen was a much loved son, grandson, brother, nephew, cousin and a great friend to many people. Indeed, he will be dearly and sadly missed." 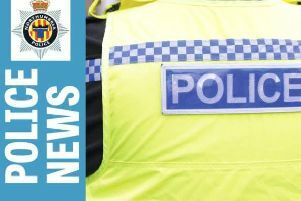 Extra officers will remain on patrol in Cramlington today to conduct inquiries and reassure any concerned members of the public. Police continue to appeal for anyone who witnessed the incident, or has any useful information, to contact officers on 101 quoting reference number 973 of 24/12/16. Information can also be passed anonymously to Crimestoppers on 0800 555111.